Going into World Water Day, I have an ambivalent feeling. This year’s theme The Answer is in Nature can sound almost like mockery considering how badly parts of the world have been hit in recent years due to water-related natural disasters, be it floods, storms or droughts. Water is a finite resource. With a growing population, an expanding global middle class and a rise in energy and industrial production, the demand for water is reaching new levels. 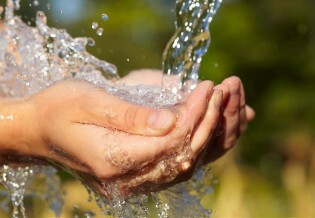 According to the OECD, global demand for freshwater will increase by 55 percent between 2000 and 2050. By 2050 it is expected that roughly 6.4 billion people will live in cities, making urban water management an essential building block for resilience and sustainable growth. It demands repetition: water is a precondition for all life. It keeps us alive – literally – while being a prerequisite for or integral part of most of our daily activities. Think hospitals without water, think farms, energy producers, industries, schools and homes without our most needed resource. All sectors, without exception, are dependent on water.